Making a crucial purchasing decision based on what you have read and seen online can be a daunting prospect, particularly if you are not familiar with a brand. However such is the confidence of Adande and us at Eco that we are happy to let you try before you buy. Adande has a unique and very efficient design and in a number of cases the Adande range can give you a new approach to how you plan your kitchen. As part of the service we will survey your site and discuss your requirements, put forward the most suitable unit and then supply a new unit for you to trial. We can also set up energy testing equipment and give you a full report to demonstrate the energy savings. If you like it, great, you can pay for the unit at the pre-agreed price and it’s yours. If in the unlikely event you have decided Adande isn’t right for you we will take the unit back. It really is that simple. Costs for shipping may be applied if you have any specific requirements. Timed deliveries, specialist requirements to lift or carry the unit, stairs, steps, obstacles etc. Collection costs may be applied for the same reasons as above. If the machine is damaged whilst in your possession, charges may be applied for replacement parts and the labour. If the machine is severely damaged and not repairable the full sales price would be applied. How energy efficient is your new piece of catering equipment? This is a question being asked more and more and rightly so with ever increasing energy bills. Not only is energy saving a major factor in most organisations but companies are also taking responsibility for their environmental impact and they need to show their customers and staff that they are serious about these issues. The problem with the catering industry is that without an agreed standard rating system manufacturers claims can either be well above of below the mark. Manufacturers are certainly putting more thought in the design and development of their latest equipment but when it comes to claims of energy savings compared to their competitors it is very difficult to prove one way or another. Plenty of tests are carried out in-house and lists of data can be presented but in what environment has this data been gathered? Only a limited number of manufacturers are having their equipment independently verified. The only absolute way to compare equipment is to run them side by side over a period of time with monitoring equipment attached. A task that more and more large organisations are undertaking. The results are proving very useful, sales are being won and lost becuase of it and customers are saving fortunes in energy costs. The problem is many organisations do not have the time, money or inclination to carry out tests on commercial kitchen equipment. So how do you decide what to buy? Well the EU are now speaking with manufacturers with the aim of producing a rating system, similar to that currently found on domestic equipment but this will take many months, possibly years to be agreed and finally actioned. Literature. Manufacturers are producing more literature to help educate us to their models and their efficiencies. Consumption figures are available from most established brands and can be used to carry out comparisons. Always carry out some basic research on what’s being offered. A slightly higher specification which does usually result in a slight increase in purchase cost can often save money in the long run. Their figures may not tell the full story as mentioned above but it’s a good starting point. Qualifying manufacturers and products. There are certain ISO standards manufacturers work to. Companies work hard to develop their manufacturing processes so they can be certified. An organisation that is certified takes its processes very seriously and has invested a lot of time and money in this area. There are also certain product schemes in place, the ECA Scheme for commercial refrigeration for example, that units only qualify for once they meet certain stringent criteria. Products from these manufacturers and qualifying for these schemes should give you peace of mind that you are investing your money in an established brand from a serious manufacturer. Tax incentives and grants. There are environmental schemes in place that you could benefit from. As mentioned previously, the ECA Scheme for an example, allows you to purchase an energy efficient ECA approved refrigerator or freezer and gain tax benefits from this purchase. There are also a number of grants available to organisations taking positive steps in reducing their carbon emissions and developing a greener business. It is always worth investigating the opportunities available. Established brands. The larger catering manufacturers are investing time and money in the design and development of new products with efficiency now being a key factor in all new models. The smaller manufacturers and dealer own brands will struggle with this development and always be playing catch up. Energy costs. We’re going through some tough times in this current economic climate but buying cheap is not the best policy. The gains can be quite short lived. Energy consumption will nearly always be higher on a cheaper unit, a factor many ignore but shouldn’t when you consider the constant trend upwards of energy costs. Savings can run into hundreds of pounds per year per unit with efficient units. When you then calculate this over the life of the machine the savings can run into the thousands. Longevity. A unit may cost more initially but experience proves that higher end units have been known to last two or three times that of a cheaper piece of catering equipment. In addition to this breakdowns will also be less frequent so machine downtime is kept to a minimum. Requirements. Have a clear idea of what you need the unit to do. A unit that is not up to the task will be prone to being overworked. This will result in higher energy consumption and could also result in breakdowns. In the same token a unit that is of a higher specification, larger size or more powerful than you require can also lead to higher energy costs and money being wasted when initially buying the item. Advice and recommendations. If you’re unsure then ask the experts, either contact the manufacturer or contact us. We’re more than happy to assist with your decision making and will be able to give an unbiased opinion and guide you towards what would be the best solution for you. There is much hype talked about the latest products released by various company’s within the commercial refrigeration industry and it can be difficult to separate the “wheat from the chaff”. Now and then however a genuinely innovative product line does appear. Fosters new EcoProG2 range is one of those rare occasions in our industry, something special. Foster have been an industry leader in producing quality commercial refrigeration and freezers since 1968. “A generation of innovation”. With over forty years of experience in keeping your food safe, any new product range from Foster must be worth investigating. Here at Eco-Catering-equipment we are very excited about Fosters new EcoProG2 range, Foster have always built units for quality, hygiene and simplicity. They are famous for the energy efficient aspects of all their product range. They strive to evolve and grow to exceed customer expectations, now once again, with the launch of the new EcoPro G2 range of fridges and freezers they have not only succeeded “the best just got better”. Our ambition, our goal is to help your business thrive; let your purchase become a tangible contribution to your success. Eco-Catering-Equipment understand that reputation is everything. We know that your success is built on hard work and customer satisfaction. A Foster refrigerator is more then just a food storage solution; it can dictate food quality, the longevity of your quality ingredients and enhance efficiency in your kitchen. The Foster EcoPro G2 range has been designed and developed with all these things in mind. The new range of units have a number of key performance, quality and reliability features: including “fluid fresh dynamics” airflow modelled for improved distribution of air. This significant advance in research and development has resulted in scientifically optimised temperature control, with all the benefits to your business of increased energy saving and your carbon footprint reduced. It is worth noting that Foster is a nationally recognised low carbon manufacturer, the only one in our industry to be awarded the Carbon Trust Standard. The EcoPro G2 Cabinets have an easily adaptable racking system with easy fit slides which feature an anti-tilt system for robustness. The shelves are fully secured into the near air duct and can take up to 40kg. To maintain thermal efficiency Foster fridges and freezes feature Cyclopentane foam for insulation. This enables the cabinets to be used even in very hot kitchens. As all commercial refrigeration hygiene is paramount. A clean kitchen is the primary basis for food preparation. 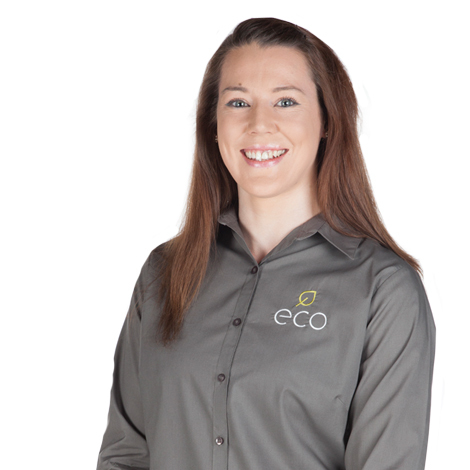 Product lines such as the Eco Pro G2 range that are hygienically designed and very easy to clean are a real asset. Thanks to laser cutting technology all stainless steel joints are precisely cut and eliminate any rough edges. Removable racking and easy to clean materials result in a product that is very easy to keep clean. The G2 range features lockable castors as standard, plus self closing doors to help maintain a constant temperature. When one considers that rising energy costs are a major concern for us all but especially for commercial kitchens. Reducing costs in these challenging economic times, and making every penny count, there can be no better choice then the new Foster EcoPro G2 range. Surprisingly the new cabinets are 20% more efficient than the award winning low energy original EcoPro range. Much is said about reducing our carbon footprint so surely reducing our energy usage must be important for your company and the environment. High performance “cydopentane” foam, extra wall thickness and energy saving “hot gas” vaporisation and defrost, utilising waste “heat” from the refrigeration system all contribute to this energy saving, a real quantum leap forward. Obviously functionality is all important, however aesthetics must be a consideration for any business. The EcoProG2 range of fridges and freezers has been designed with sleek minimalistic styling that will create a refined and sophisticated look in your kitchen. Key feature designs include, easy to open door handles and a newly designed top fascia panel featuring the “Airlines” ventilation system. This means that your state of the are product looks great in any situation whilst keeping the system cool and efficient plus a reduction in running time by 15% in tests. The enlarged, bright, white PMVA temperature display is both functional and easy to read from up-to 10 meters away. The EcoPro G2 cabinets also have a new and improved “Fuzzy logic II” intelligent controller with “e” modes which drive reduced energy consumption. Finally a low voltage “phone style” touch sensitive control panel keeps the screen flat and clutter free. Another added benefit from Fosters new range that your service engineer will appreciate is the hidden-until-lit interface technology with clear icon displays for easy diagnostics. All Foster G2 cabinets and counters are on the governments Carbon Trust Energy Technology List, meaning you can save 8.6% on your capital cost in the first year. All have been independently tested and meet their standards on energy efficiency. We at Eco-Catering-Equipment.co.uk understand that in these difficult times every penny counts. When the energy efficient, build qualities and reliability of the new EcoPro G2 cabinets are factored in it is impossible to argue with the whole life cost proposition of a Foster refrigerator or freezer. There is a full range of cabinet sizes and options available; these included the EP700, EP700 half door and EP700 under mount. Also available is the EP820 Broadway. The double door EP1440 and the EP1440 under mount. Most of the cabinets in the new EcoPro G2 range are available as refrigerator, freezer or meat/chill. Some are also available with “Hydrocarbon refrigerant” as a no cost option, helping to further improve the efficiency of the range. Consult the www.eco-catering-equipment.co.uk website for a full breakdown of options and cabinet dimensions. It is worth mentioning that all cabinets have increased thickness for strength which also aids thermal efficiency. They also include non-slip and non-mark tyres supplied as standard. To sum up, millions of pounds have been invested by Foster Refrigerator to produce class leading, innovative products that will deliver results to meet your highest expectations. The new EcoPro G2 range is their best yet at delivering outstanding performance and cost savings. In the fast paced world we live in, food on the go is a way of life for many. The ability to pop into a nearby store for a quick snack is an everyday occurrence. Seeing that food and drink displayed well, looking good and tasting fresh is all part of the experience. This is where Foster's new multideck display chillers come into their own. Whether you own a convenience store, café, bakery or supermarket you will appreciate Foster Refrigerators new multideck chillers. Their commitment to cutting edge design, ergonomics and unrivalled build quality speaks for itself. Those in the know are familiar with Foster Fridges reputation for being the best in class. Food chillers need the correct combination of aesthetics, levels of convenience and practicality. Foster Refrigerators multideck display cabinets deliver all this and more. Built in Britain to exacting standards and quality control these new display chillers give you the confidence in knowing that your purchase is a high quality, robust unit with reliable performance. The new Foster Refrigerator range of multideck food chillers will increase your sales potential and enhance your reputations as a high quality food retailer. There are two new designs each with a number of options. Firstly the Foster Slimline multideck display chiller is a stylish, flexible and economical option where space is an issue. The Slimline Chiller has an oversized display area courtesy of its extra depth shelves that are both flexible and versatile. This extra depth allows for up to 33% more display capacity compared to competitors models. Its innovative design including optional glass end panel’s gives optimum storage and display capability from the smallest possible footprint. The Foster Pro multideck display chillers achieve remarkable storage capabilities through intelligent design solutions. They have five full depth levels all allowing food and drink to be displayed in an attractive manner. With glass end panels fitted to the Foster Refrigerator Pro Multideck customers get an unrivalled visual display. All models use fully integrated advanced airflow technology to produce a protective air curtain that maintains product temperature. Where hygiene is concerned once again Foster have throught it through, their new multideck display chillers have fully removable shelves and supports for ease of cleaning and brushed 304 stainless steel for “easy wipe” efficiency. Both the Foster Fridge Slimline Multidecks and Foster Fridge Pro Multidecks can be fitted with “soft closing” night blinds (with glass end panels) or secure roller shutters (with full solid end panels). All models have LED lights as standard, these are clean, bright, and cheaper to run, produce less heat and last 10x longer than flourescent lights. We all know that durability is a crucial consideration in these cost conscious times, Foster Refrigerator is way ahead of the market. Our new units are manufactured in Norfolk at our state of the art plant to exacting standards. Foster Refrigerators reputation has developed over 40 years of manufacturing products that perform outstandingly well. Full product details can be found here on our site or give us a call for further information and helpful advice. Once again Lincat are at the forefront of innovative technology. Their new Vortech High Efficiency fryers, the OG7115 and OG7115F are way ahead of existing fryers in reducing energy usage helping your pocket in these cost conscious times, also reducing your carbon footprint. Current European regulations require 50% min. efficiency ratings but these new Lincat Vortech fryers boast energy efficiency ratings of 97%. Another plus, besides reducing operating costs, is that your output will be significantly higher. So much so that you may require fewer units to satisfy your customers needs, reducing your costs still further. There are two new fryers in the Lincat Vortech range, both similar in specification and performance but the OG7115/F has an integral High Efficiency filtration system. This option removes the need to have external filtration there for saving space. Built in filtration in the unit also reduces the chance of accidental spillage and aids disposal costs thereby reducing environmental impact. It is of course easy to claim higher efficiency without explaining why this is so, but with Lincat’s Vortech new fryers the technological advances are plain to see. Much of the energy savings are due to a new design of pre-mix burners, this represents a major step forward in burner design. Air drawn into the combustion chamber is mixed with gas in a very efficient way, generating heat, typically 25% hotter then normal fryers. Secondly like most modern domestic boilers which re-use spent combustion gases Lincat’s Vortech fryers re-use the hot combustion gases that would otherwise be lost to the atmosphere and re-direct them around the tank to extract the maximum possible heat energy, then channel them around the fryer tank instead of being exhausted into the atmosphere. Finally the fryers are far more intelligent with regards to temperature control. Electronic control rather then manual reacts significantly quicker, thereby preserving stability giving better results and improved energy savings. These advances combined together make much greater use of the available energy. Fuel gas temperatures are significantly reduced because more of the heat is retained at the start of the process and delivered where it is needed. Both of these great fryers come with a number of accessories as standard, including a spun wire, nickel plated basket, a batter plate, tank lid and in the case of the OG7115/F, 6 carbon filters. There is also the optional extra of a half size basket for both fryers and a pack of 30 filters for the 7115/F. It is also worth mentioning that Lincat Vortech fryers can be purchased with confidence as they are backed by a comprehensive UK two year parts and labour warranty. Quality. With the global market as it is there has never been so much choice when it comes to commercial refrigeration. The build quality is important; this will help determine the general life expectancy of the unit. These units will run continuously and be used frequently and not always in the most delicate manner. A quality refrigerator will give a much longer life span than a cheaply built one. When buying any commercial catering piece of equipment you need to consider the build quality, reliability, service support, parts availability and life expectancy. These should all be key to your decision making. A quality unit can out live an inferior machine by many years. The efficiency of a refrigerator or freezer can make big savings in a year let alone the life of the unit. So remember it may seem it's 'just a fridge' but with a little research and the correct purchase you can benefit in many ways. We at www.eco-catering-equipment.co.uk supply Foster refrigeration equipment. The simple reason being that they tick all of the points raised above and lead the way in commercial refrigeration equipment. We have yet to find a better manufacturer.